When I was pregnant with my oldest child, my husband and I knew we wanted our baby to have breast milk. Formula wasn’t evil, but it would be a last resort. If the baby wouldn’t or couldn’t nurse, I would pump for him. For my first two children, this belief was never put to the test. They both latched on shortly after birth and nursed for 15 and 22 months respectively. My experience with my third child, however, was completely different. 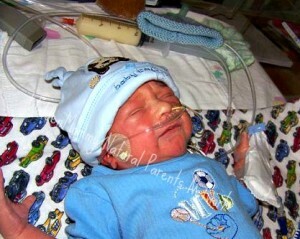 He was born five weeks early and couldn’t breathe on his own. Breastfeeding was certainly out of the question; his world was filled with tubes and wires and monitors, not warm milk and snuggles. Mine was suddenly filled with midnight pumping sessions, traveling to and from the hospital, and watching my milk snake through a tube down his nose. I learned quickly that some preemies never learn to breastfeed. I learned that sometimes bottles of breast milk are sometimes better for babies who need to have every sip they take carefully measured to ensure they are getting the proper calories or nutrition. Sometimes special formula fortified with super amounts of vitamins and minerals that full-term babies don’t need is really, truly needed in place of breast milk. While I had lots of love and support from friends, family, and the hospital’s LC, all the love and support in the world cannot counteract the supply-diminishing stress of the NICU. supply was dropping. Nothing I could do would bring it up, and my baby was hungry and mad. He weaned to a bottle of formula by nine months old. The child I desperately wanted to have breast milk and only breast milk for a year was now formula fed. Although I mourned for a breastfeeding relationship cut short, I looked forward to nursing the new baby. Fifteen months after PuddinPie was born, Bear joined our family. He was born full term and healthy and placed skin to skin right after he emerged from me. And he came with a posterior (type four) tongue tie. It took two weeks of weight checks, many pumping sessions, bottle feedings and a horrific weight loss before a skilled LC found the problem. It was another six weeks before we found an ear, nose, and throat (ENT) doctor who was willing to clip his tie. While both PuddinPie and Bear were eventually able to nurse, I learned a lot from their early struggles. When I researched tongue ties, I realized that many mothers who said their babies “couldn’t or wouldn’t” nurse or who “simply didn’t make enough milk” likely had a baby with a type four tongue tie. It was so hard for me, an experienced breastfeeding mother, to find and fix the problem; I couldn’t imagine what it would be like for a mother who did not have the experience or support I did. I don’t pity those mothers; I now understand what they went through. I no longer fault them for turning to formula for their newborns, as I had to use formula when I wasn’t able to pump enough for my baby. I also discovered pumping was not the quick and easy solution to breastfeeding (from the breast) that I once thought. It requires a lot of work! The whole process, from setting up the machine to taking care of the milk, took much, much more time than straight breastfeeding or fixing formula. (I did figure out tricks to making it easier, though.) It was very isolating, too; my world revolved around having an electrical outlet and time to pump. When we were still in the throes of trying to find an ENT to treat his problem, I told my husband that I thought that exclusive pumping was taking too much of a toll on my ability to care for the children and on my mental health. He understood and told me that I could pump as long or as short as I liked and that I was not a failure if it didn’t work out. Both experiences changed my outlook on parents who bottle feed.I still support breastfeeding mothers and believe that breast milk is the best nutrition for a baby. However, struggling to breastfeed two children (and having one on formula) forced me to let go of a lot of preconceived notions about women who cannot or chose not to breastfeed. I no longer wonder why someone would chose not to pump milk for her baby; I now completely understand why someone would chose formula over exclusively pumping. I know from firsthand experience the very real and very hard obstacles that someone might go through trying to feed her baby. I learned that, for me, it was worth all the struggles and pumping sessions to try to get breastfeeding to work because I honestly enjoy breastfeeding.The same might not be true for another mother, and that is okay. 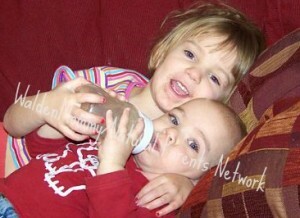 Because of the hardships I went through to try to breastfeed my two little boys, I am much less judgmental. Instead of looking back on the experiences and feeling like a failure because I had to use formula, I instead consider the experiences a success. The success has nothing to do with how much breast milk my babies got or how long they nursed, but, instead, it is a success because it taught me so much about myself and breastfeeding and gave me so much compassion and empathy toward other mothers who might have struggled with some very real and very challenging breastfeeding obstacles. I no longer wonder what is in a baby’s bottle or why the baby isn’t nursing; now, I just smile at the mother who is lovingly feeding her child.